6 Effective Communication Tips: which do you know and apply? To ensure that my newsletters arrive safely, please add my email address to your address book. 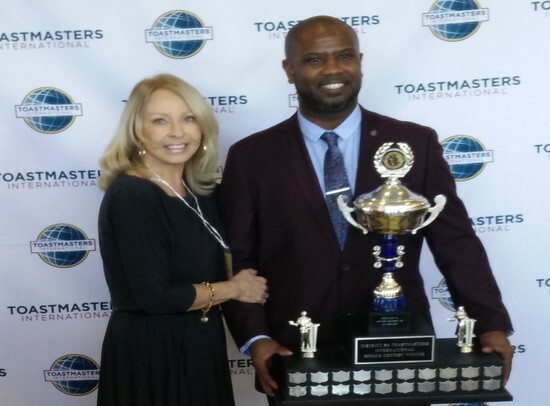 Off to Chicago this week for Toastmasters 2018 International Convention to hear my talented coachee, Roger Caesar of District 86, hit the big stage competing once again at the world championship of public speaking! Best to you! See many of you there cheering him on! Effective Communication: The art of Connection, not Perfection! Do you realize that every time you speak you are selling something? It could be a service, a product, an idea, even yourself! If you are in speaking... you are in sales! A competent, confident communicator does not simply give out information but gets through with a clear, concise message, and connects! Tip 1: Opening: You have 7 seconds for an audience to like you and 35 seconds for them to want to listen to you. Open strong by getting right into the content with maybe a quotation, a question, a profound statement ... something relevant to your content that grabs their immediate attention. Follow with a promise of benefits they will receive from listening to you and adhering to your message. Then give a roadmap of where you are taking them ( i.e. 3 Secrets to Success, or The ABC Guide to Greatness or Winning Ways to..) This is especially important for business presenters and trainers. Tip 2: Ending: Never ever close with Q&A - it's a recipe for disaster!!!! (someone's question may take them on a different tangent, away from your message) Set some time for Q&A, if you wish, and tell them: "Then I'll close." Always close on YOUR optimistic, hopeful, powerful note with a call to action. Tip 3: Your content needs to be tight; avoid squeezing too much information in, rambling on and confusing them. Know exactly what you wish your audience to think, feel, say or do differently after you finish speaking. A confused mind says “no” to any suggestion made. Make your points clear, and the take-away message doable. Tip 4: Try to use humour. When people laugh, they relax, when they relax, they learn, when they learn, they remember. Share your flaws, fears, failures, frustrations and firsts. People don’t like perfect people, they like personable ones, who can laugh at themselves. Tip 5: Use simple, everyday stories from which you have learned a lesson that may also benefit them. Note: “Facts only tell, but stories Sell!” People are moved to action, not only intellectually but emotionally. Stories that transform fact and figures into flesh and blood stories are the heart of a presentation and make it memorable. Tip 6: Your delivery is your opportunity to make your content come alive, by transforming a one dimensional text into a 3D experience. Please note that sameness is the enemy of the speaker. Vary your voice in pace, projection, pitch, of speak; pause at times so they can reflect on a question, problem or issue. Vary your emotions, movement on the platform, and methodology of delivery. Don't talk AT them but WITH them in a natural, sincere, conversational manner. Audiences love speakers who are clear, conversational and personable. They can resonate with those traits which will endear them to you and therefore, connect with you. As a result, an effective communicator is both remembered and repeated. I invite you to join me again next month when we continue discussing another presentation skill and help you become 3x a speaker you are today! Until then, successful speaking to you! We work together via SKYPE, phone and emails and me sending you work sheets. Was this newsletter passed on to you by a subscriber? 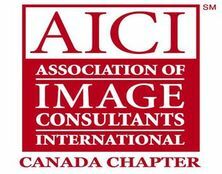 Want to MAGNIFY your speaking skills? Then I invite you to visit my website: www.kathrynmackenzie.com and SUBSCRIBE to my FREE monthly 'Keys to Your Speaking Success' newsletter.